Adagietto is a musical term and means: ‘fairly slow’. I wasn’t in a rush to create this font, so the name kind of suits! 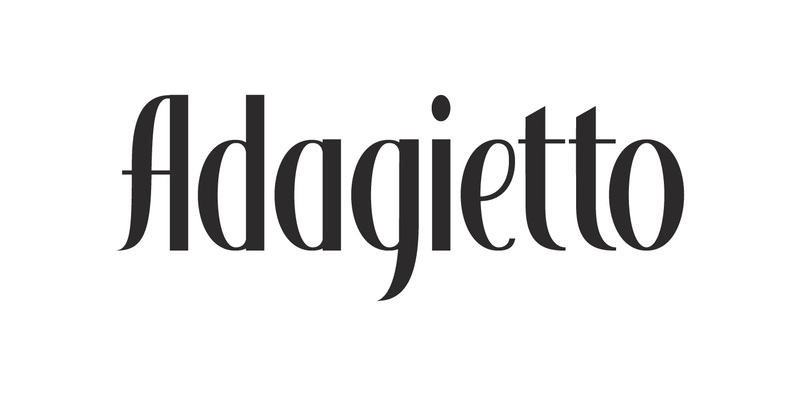 Adagietto is a classic font, ideally suited for posters, book covers and product packaging – and just about everything that needs a classy look.